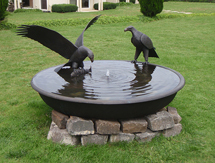 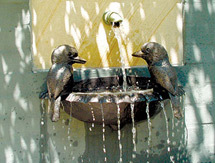 We are able to plumb all of the Birdbath and Birdbath Bowl designs. 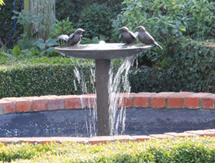 With the Birdbaths we run a copper-pipe up through the middle of the pedestal (which is hollow) and have the top of the copper-pipe level with the top of the Bowl. 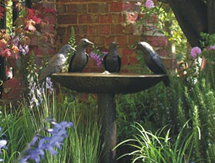 We can also fix a copper-pipe into a Birdbath Bowl for the same effect of the water over-flowing into the pond underneath.